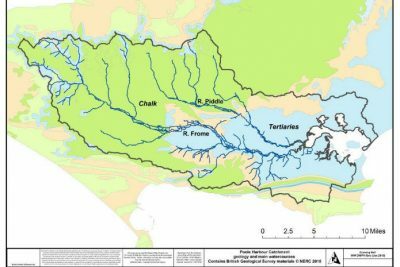 Wessex Water looks at how it has been managing nitrates in the Poole Harbour catchment. Poole Harbour in Dorset is a significant natural feature in terms of its size (the second largest natural harbour in the world), its national and international environmental importance (a designated Site of Special Scientific Interest (SSSI), a Special Protection Area (SPA) under the Habitats Regulations 1994, and a Ramsar site), and its leisure opportunities. A number of rivers, the most significant of which are the Frome and the Piddle, feed Poole Harbour. These two rivers, chalk-fed in their upper catchments, enter the western end of the harbour after running across Tertiary sediments that form the eastern part of the Poole Harbour catchment from Dorchester to Wareham. The Poole Harbour catchment is an important farming area with agriculture (dairy and arable) dominating the land use within the catchment. Wessex Water (WW) has a number of sewage treatment works (STWs) in the catchment whose permitted final treated effluent discharges into the rivers and so to Poole Harbour. 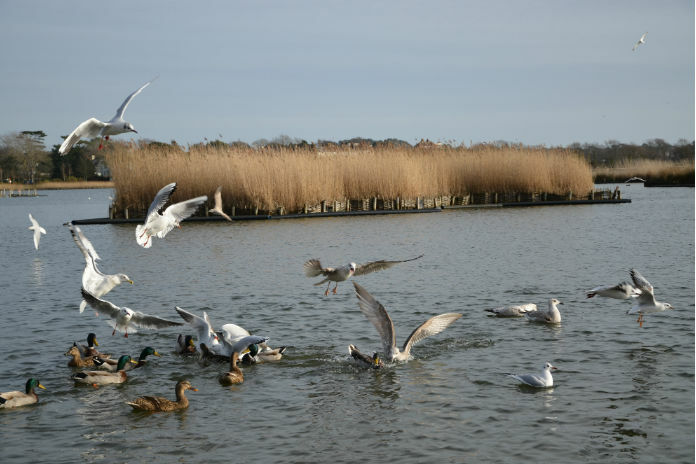 The Water Framework Directive (WFD) provides the mechanism for assessing water quality according to Europe-wide standards and, according to WFD, the water quality in Poole Harbour is considered to be at moderate status in terms of nitrogen concentration (allowing for salinity and turbidity). Biological response to nutrient loads in terms of macro algae (algal mats). Source apportionment work carried out by the Environment Agency (EA), Natural England (NE) and WW has shown that agricultural nitrogen inputs to the Harbour comprise approximately 66 per cent of the total; STW inputs, approximately 12 per cent; with the bulk of the remainder coming in from the English Channel. The 12 per cent contribution from STWs takes into account the nitrogen already removed by WW at Poole STW. This nitrogen treatment removal plant, constructed in 2008 to comply with the Urban Waste Water Treatment Directive (UWWTD), cost £12 million to build. It removes in excess of 900 tonnes of nitrate per year. 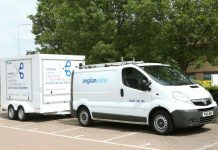 The Water Industry National Environment Programme 2 (September 2017) highlights the need to install nitrogen removal at Wareham STW by December 2021 to comply with UTWWD. WW is in discussion with EA/NE as to whether or not the installation of N removal at this site represents the most effective way of delivering nitrate reductions in the catchment in terms of both cost and environmental impact. The level of nitrate removal at Poole STW means that there is no further requirement under the Habitats Regulations. However, the risks of rising nitrate loading from STWs in the catchment, due to increasing population in the areas they serve, has led to funding of WW from 2015 to offset 40 tonnes N/year in lieu of building nitrate removal at Dorchester STW. In addition to managing the nitrogen issue for environmental reasons in Poole Harbour due to STW discharges, Wessex Water is also trying to manage the concentration of agriculturally-derived nitrate in the groundwater to achieve and maintain drinking water compliance at nine of its 13 groundwater sources in the Poole Harbour catchment. Most of these sources have been identified as having deteriorating water quality in terms of nitrate by the EA and as such have had their catchments designated as Safeguard Zones (SGZs) under WFD legislation. Nitrate concentrations at most of these sources threaten to breach compliance during winter ‘peaks’ associated with high groundwater levels. Much of the nitrate in groundwater may be from historic nitrate inputs ‘stored’ in the chalk. However, these peaks are influenced by recently applied nitrate. As a result, active catchment management to reduce nitrate leaching will lead to reductions at the sources. Wessex Water’s catchment management in the Poole Harbour catchment has to be seen in the context that the company does not own any land within the catchment, nor does it have any regulatory powers. As a result, progress is entirely dependent on its ability to engage with farmers and landowners/users on a voluntary basis. Traditionally, engagement has been on a one-to-one basis. WW’s agricultural advisers contact catchment farmers; the nitrate issue and their contribution to it is explained to them, advice on nutrient input reduction is given and a list of appropriate measures that they might implement to reduce leaching is explored with them. Where appropriate, direct funding by WW is offered to assist implementation. These measures include the free calibration of fertiliser spreaders, growing of cover crops to reduce bare soils over winter and to ‘mop up’ residual, leachable nitrate, reversion of arable land to long-term grassland and a number of measures around the growing of maize. This approach works well in areas where there is a relatively small number of farmers and where the location of the measures is important. Groundwater SGZs are a good example of this, where measures implemented close to the boreholes are likely to have a greater and more immediate impact than those further out in the catchment of SGZ. However, where measures are not so location-specific and where measures need to be applied over a wide area (and therefore by a larger number of farmers) an online, reverse auction has been successfully trialled over two years. 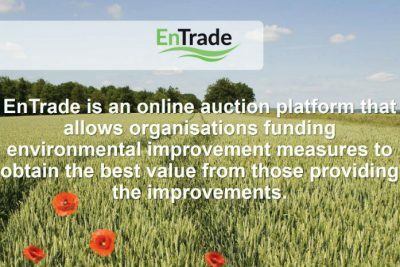 This online auction, EnTrade, allows farmers to bid in to ‘sell’ nitrate reductions to Wessex Water (or whoever is running the auction) at the lowest price that they would be prepared to accept, for example, for growing a cover crop. The platform translates their input cost, £/hectare, to a £/kg N reduction and their bid is assessed on that basis. 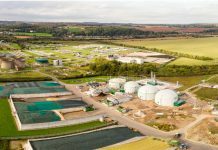 This approach has proved very successful to date and has allowed Wessex Water to out-deliver its 40 tonnes/year offsetting reduction in two consecutive years. Our experience in working with farmers has been generally very positive with most farmers being very keen to engage in order to reduce their nutrient footprint both for environmental and cost efficiency reasons. Wessex Water’s approach to nitrate issues (and water quality issues in general) is not to build new or additional treatment but rather to work with farmers to implement catchment measures to tackle the issues at source. The Water Framework Directive (WFD) and the Drinking Water Directive (DWD) support this approach. 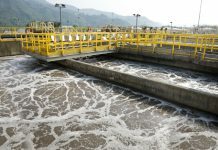 WFD Article 7 promotes a ‘prevention-led approach’ to DWD compliance, based on pollution prevention at source with one objective to reduce investment in new treatment. Wessex Water is keen to promote good farming. It recognises that farmers are the best people to manage catchments. 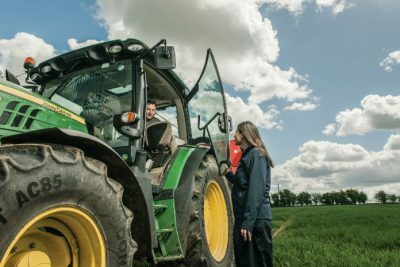 Farmers are expert at delivering outcomes from the land that they farm, whether that be maximising arable or milk yields, new crop types or water quality improvements. They need to be incentivised to deliver the right outcomes for the environment and their businesses rewarded for effective delivery. Wessex Water is committed to improving and sustaining high standards of raw water quality in the environment of all of its catchments.